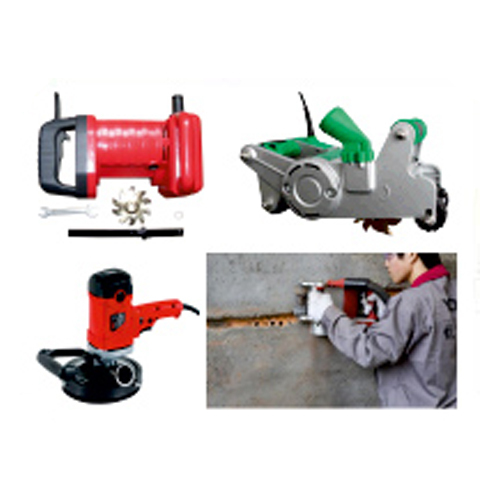 Wall Chaser & Scouring Machines is intended for industrial use. Ergonomic design with soft handle for extra comfort. Excellent anti-dust design for excessive dust condition. Complete slotting at one time in high efficiency. Adjustable chasing depth for different needs. Alloy gearbox combines durability with beauty. Roller design to reduce the frictional resistance from wall when grooving. Long lasting alloy blade tested to last up to 200 hours. Equipped with quick cleaning dust extractor system.